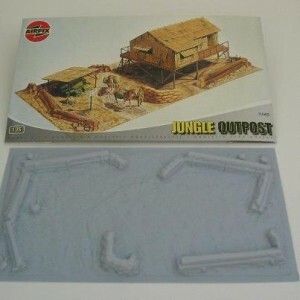 Amera Plastic Mouldings has announced that they're going to be making a new Jungle Outpost Base terrain piece. Amera Plastic Mouldings are pleased to announce, in conjunction with Airfix they are about to release a base for their Jungle outpost kit. Although the kit is no longer available this base is also suitable for a multitude of 1/72 & 1/76 diorama scenarios. Price will be £2.50 and it be supplied in white-launching on the website soon!